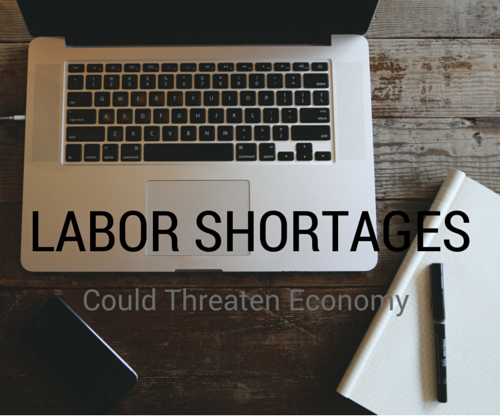 Labor Shortages Threaten To Derail Economy | Challenger, Gray & Christmas, Inc.
“With 11.6 million Americans still unemployed as of April, it may be difficult for most to contemplate labor shortages. However, it is important that not all of the unemployed reside where jobs are being created at the fastest rate and many lack the skills required to fill the openings that exist. These two factors alone make skill shortages a reality right now for some employers,” said John A. Challenger, chief executive officer of Challenger, Gray & Christmas. “As the economy continues to improve and more people find employment, labor shortages will only worsen; accelerated by an aging workforce that may not necessarily enter traditional retirement, but will alter their career path to the extent that it will prove disruptive to the companies that have employed them,” he added. Challenger pointed to the latest jobs data from the Bureau of Labor Statistics (BLS) as evidence that it will become increasingly difficult for employers to attract and keep the best talent. The April employment situation report showed that payrolls experienced a net increase of 165,000. However, that figure from the BLS merely shows the difference between the total number of jobs added and the total number lost as a result of layoffs, terminations, retirements, people quitting, etc. For the number of Americans actually hired in a given month, Challenger turns to the BLS job openings and labor turnover survey. In March, the latest month for which data is available, the nation’s employers hired 4,259,000 new workers. That was down from the previous month, when 4,451,000 Americans were hired. However, the hiring levels tracked by the survey typically fluctuate significantly from month to month. Overall, hiring levels have steadily risen since falling to a recession low in June 2009, when only 3,626,000 workers were hired during the month.